Feeling festive? This warming cocktail recipe created by John Cusimano will do the trick. From My Year in Cocktails, part of My Year in Meals. This makes more whipped cream than you need for just 1 drink, but it’s hard to whip less than 1/2 cup—and no doubt you’ll be making more than one of these toddies! Whip the cream in a cold bowl until stiff peaks form. Stir in the maple syrup and vanilla. Combine the remaining ingredients in a heatproof mug. Add the whipped cream mixture and stir until blended. Garnish with grated nutmeg. My Year in Meals offers intimate access to tasty dishes that will take you from breakfast to dinner. 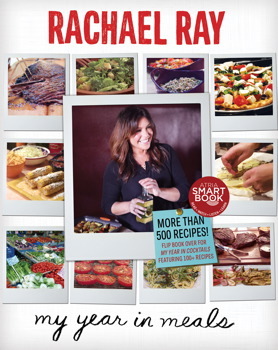 From the meals she whips up at a moment’s notice to family feasts, and dishes inspired by her travels around the world, you can now enjoy twelve incredible months of Rachael’s homemade favorites. 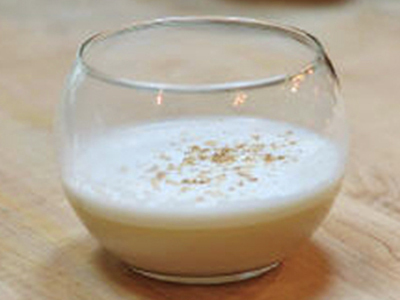 Try making the Baby Back Ribs over an open flame and treat your guests to seasonal cocktails such as Halloween Fizz and the Nod to Nog.